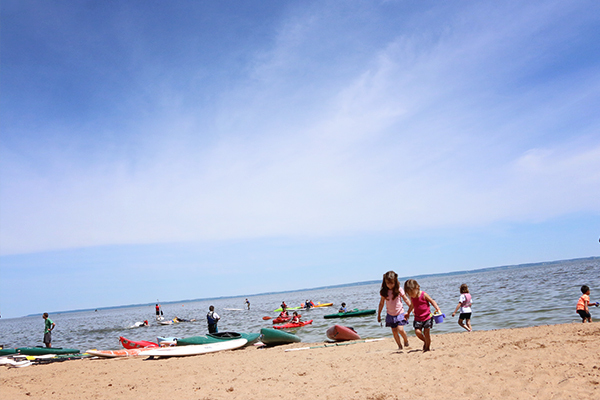 Menominee Park is one of our family’s favorite destinations. 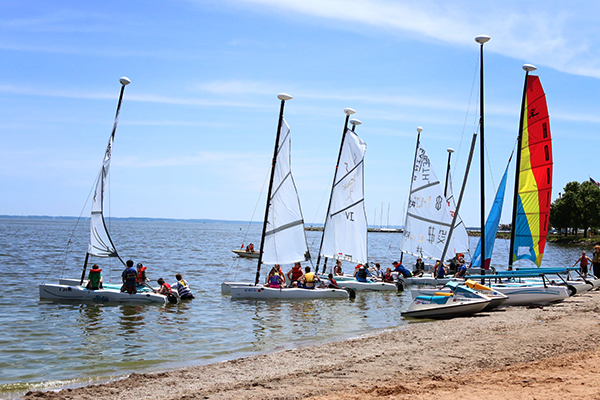 Located on the east side of Oshkosh it borders Lake Winnebago. The best part of this park is you can get away without spending any money, but for under $10 you can feed a couple animals and ride the train or merry-go-round. Spend the whole day or just an hour. Here are our favorite parts and a couple tips. 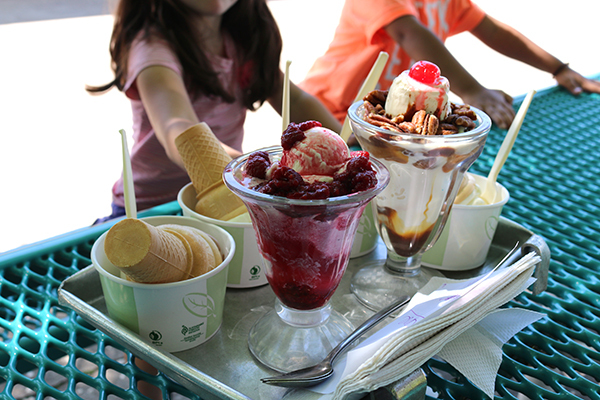 The Menominee Park Zoo is open from May 2nd through September 27, from 9 am to 7:30 pm daily. The Zoo’s mission statement is “To serve the community through the exhibition of a historical collection of both native Wisconsin exotic and domestic animals. To enrich the zoo visitor while encouraging the appreciation of animal behavior, habitat, and diversity.” Admission is FREE but grab a couple quarters to feed a couple animals and drop a donation on the way out. The animals are all around a beautiful pond and the trail is very stroller friendly. It homes about 30-50 animals from goats, llamas, birds, otters, elk, wolves and more. This playground is the ultimate fun park for kids but can also be a little scary for a parent. Its easy to lose a kid in the winding trails of this wooden castle. The good thing is that parents can easily follow along through the structure. For little kids I would recommend an equal parent child ratio for ease of mind. Let their imaginations run wild. Bring a superhero cape or princess dress for the ultimate play day. We usually pack a lunch or snack and enjoy it by the beautiful beach. There are picnic tables by the beach and the playground, but our kids usually prefer a picnic blanket. Another great thing about Menominee Park is there is plenty of shade. Pack sand toys, the nice sandy beach is a fun place to build castles, rivers, masterpieces and more. If you grew up in the area you have probably have been warned about swimming in Lake Winnebago at least once. Hot weather can cause blue-green algae on the lake. Just be aware of your surroundings and avoid the water during that time if any algae is present. Make sure to wash with clean water after any play. This is the only area that will cost you money but the good thing is it is very inexpensive and also avoidable. Its a little of a walk from the other the other parts of the park, so if you have little ones you might want to follow the signs and drive or bring your stroller. This area is open June through August 11 am to 6 pm, and holidays in May and September. The train ride will cost you $1.25 a person and the merry-go-round and whip ride, $1.00 each. 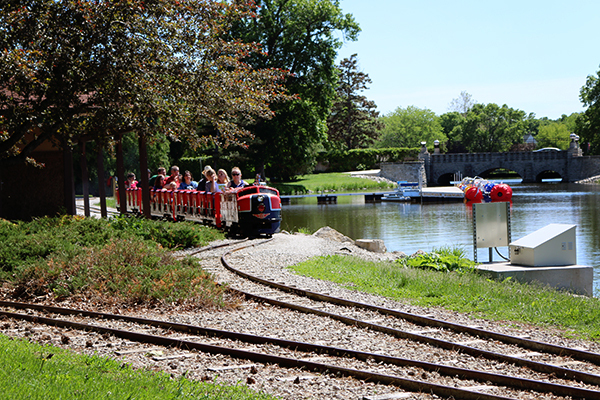 The train ride runs around a pond, over an exciting little bridge and through a “tunnel.” The merry-go-round is nice and slow, so you won’t get too dizzy. Aqua bikes are available to rent for $5/person, as well as kayaks and canoes ($6 each for 1 hour) in the small lagoon adjacent to the rides. Mini non-motorized pontoons can also be rented for $10 for 1/2 hour for 4 people. Don’t forget cash, they do not accept credit cards. 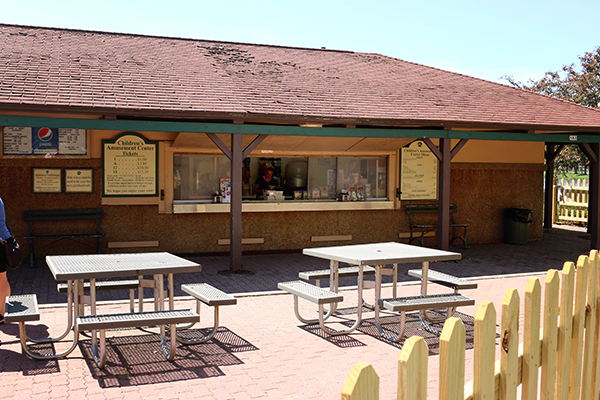 If you get hungry snacks are available at both the zoo and by the amusement rides. 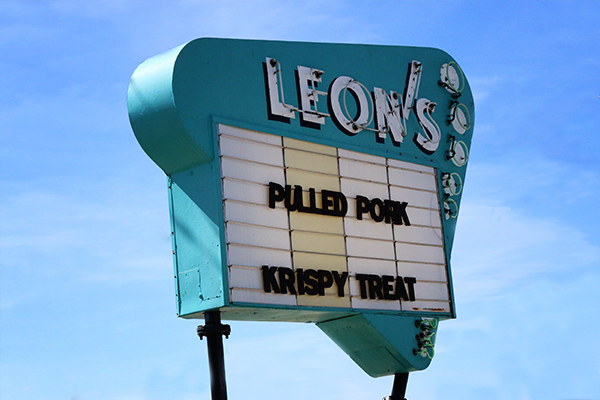 To top off the day, stop by Leon’s for a treat! You will be greeted by a friendly server as soon as you pull up at this carhop. Eat in your car, although this doesn’t sound very appealing for little ones, or at the picnic tables. 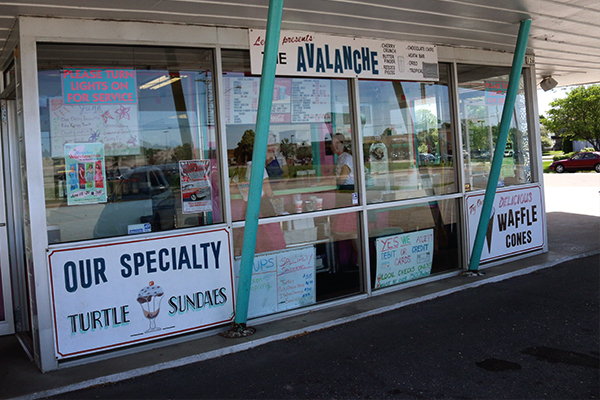 Enjoy vanilla and chocolate frozen custard, a special feature every day, homemade root beer, slushies, shakes and more! Previous articleMeet me at the Farmers Markets!